Have you ever asked yourself these very important questions about your business? How are the people that are buying/using my product initially finding out about my product? If you have never asked yourself these questions before, take 30 seconds right now and write down what you think the answers are for your current business venture. Be as specific as possible. You will see why this is important as you read this post. My motives for asking myself this question this morning were simple. 1) I only want to only use my marketing dollars in a way where I generate a positive return on my marketing spend. 2) I want to attract the right customers, who really need what I am selling. 3) I don’t want to expose my offer to people who will never be interested in what I am selling. Do you have the same motivations as I do? Have you ever noticed that most successful people you meet focus on asking themselves the right questions, to help them figure out the things they don’t know, so that they can continue making progress in their personal and business life? As I am sure you have probably heard before, success leaves clues, and on my personal journey this is one clue I have learned after being around many successful people. When they say that to themselves, it immediately shuts down the thought process in their mind, and they move on to the next thing. By starting the question with the word “How” it opens his mind up to find a solution to the question he posed to his brain. Even though in the moment he may not know the answer, his brain will go to work on how to make it possible so he can purchase what he can’t buy right now. How Does This Thinking Help Me Market and Sell My Product? Ok, now take what you read above one step further and dive deeper with me because there is a key distinction that I want to make sure you grasp, so that you can absorb this key distinction and start using it to guide you in implementing effective marketing that generates better results in your business. By asking yourself the three key questions about your business at the beginning of this post, the details and answers you flush out for each question will help you strategically come up with HOW and WHERE you will position your products and advertisements in the marketplace, so that when your ideal prospect needs/wants what you sell, and/or hears your advertisement in a specific media at a specific moment in time, they will be most likely take action by purchasing your product or service in that given moment and/or at your desirable time in the future. I know that was a detailed paragraph, so read it again and really take the time to grasp each moving part within it to fully grasp and understand what I am saying. I am going to answer the three questions at the beginning of this post for someone who sells information about how to be more effective when growing a garden in your backyard. Answer: People want to learn how to grow a garden in their backyard, and in doing so have enough fruits and vegetables throughout the year on hand, so they don’t have to go to the store to buy them. Question #2: How are the people that are buying/using my product initially finding out about my product? Answer: Customers found out about my product because I am running a google adwords campaign for the keyword “gardening tips,” people are clicking my ad and dropping onto my sales page where the product is for sale. I also know that people have purchased the product based on their other gardening friends recommending it to them via phone calls, and through conversations within facebook and twitter in gardening groups discussion forums and blogs. Answer: I have successfully grown my garden in the past, and my information has gotten results for other people that have used the product. My sales copy is meeting them in the frame of mind where they are already searching for gardening tips and because I offer a 30 day money back guarantee on the information, there is no risk for them to purchase the product. One other thing I know about why people are buying my product after learning about it is because I have a support staff on hand to answer any question the person may have. 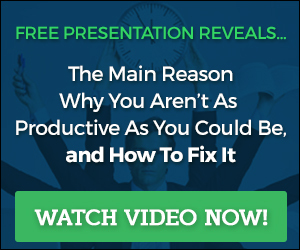 Based on what you discover throughout this process, it will show you the massive opportunities you aren’t taking advantage of, and further will illustrate clearly to you where you are completely wasting your marketing dollars. When it is time to tackle question #2, this is where you will take everything in this post and take it one step further. The question beyond the question you need to ask yourself to help you come up with the effective way to strategically spend your money with marketing is as follows. Where specifically is my market (mentally and psychographically) when they realize they need the product I am offering (but don’t know I exist yet), and what specific media channels can I position myself in so that when they have the need/desire/want, I come up front and center when they actively seek out the solution to their problem/need/desire? Sit and think about this for a second before moving on. Where are you currently positioned, and are the right prospects finding you? 2) If the person hasn’t heard about your business or products before, you have to make sure that your ads are effective as possible to convert the traffic when they first see you, and also positioned in the most effective place above your competitors so that they choose you, instead of choosing one of your competitors. 3) There are also a number of other variables to consider with this question, which involves your active and reactive ways of marketing…which is covered in the two sections below. Below is a list of specific ways people are finding out about products and services in the current world we live in. Although there are probably more, these are the most well known ways people are learning about products and services. This section of the blog post has been created to get you thinking about various things you can do to get better results in your marketing. What Ignites The Desire Within Someone in Your Market To Buy Your Product, and Where and How Do They Find You? Proactive Marketing –> You actively trying to get people to buy by placing ads, or doing something active to inspire people to buy. There are obviously many more…these are here just to get you thinking in a different way about your marketing, so that you can make it more effective. KEY POINT: Focus on where your market mentally is when they need/want/desire your product first, so that you can strategically meet them where they are with the right message, the right media, at the right time so you can experience a greater success at converting them into a customer of your product or service at the time they need you most. KEY POINT: By living in your prospects shoes, and strategically thinking about what you would do, if you were experiencing the pain and frustration your prospect faces before they find out about your product, the more effective you will be in creating marketing that works, and further will be able to place marketing advertisements in strategic places in so much that you are able to effectively convert the traffic to your ads into product purchasers and life-long customers. KEY POINT: Make your proactive marketing initiatives create reactive marketing results. (Create a strategic snowball that gets bigger as it rolls down the hill faster). We can all learn from what successful people do. I think it is important to have a mentor to better our businesses and our personal life.